Part 13, Complete Creation, 2nd Ed. Part 14, Complete Creation, 2nd Ed. Part 15, Complete Creation, 2nd Ed. Part 1, Complete Creation, 2nd Ed. Part 10, Complete Creation, 2nd Ed. Part 11, Complete Creation, 2nd Ed. Part 12, Complete Creation, 2nd Ed. Part 17, Complete Creation, 2nd Ed. Part 2, Complete Creation, 2nd Ed. Part 3, Complete Creation, 2nd Ed. Part 4, Complete Creation, 2nd Ed. Part 5, Complete Creation, 2nd Ed. Part 6, Complete Creation, 2nd Ed. Part 7, Complete Creation, 2nd Ed. Part 8, Complete Creation, 2nd Ed. Part 9, Complete Creation, 2nd Ed. Part 16, Complete Creation, 2nd Ed. Part 20, Complete Creation, 2nd Ed. Part 18, Complete Creation, 2nd Ed. Part 19, Complete Creation, 2nd Ed. 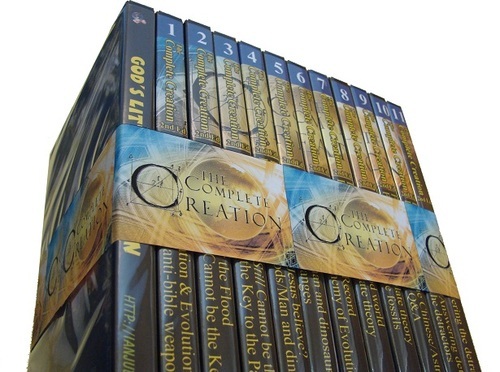 Part 21, Complete Creation, 2nd Ed. Part 22, Complete Creation, 2nd Ed.